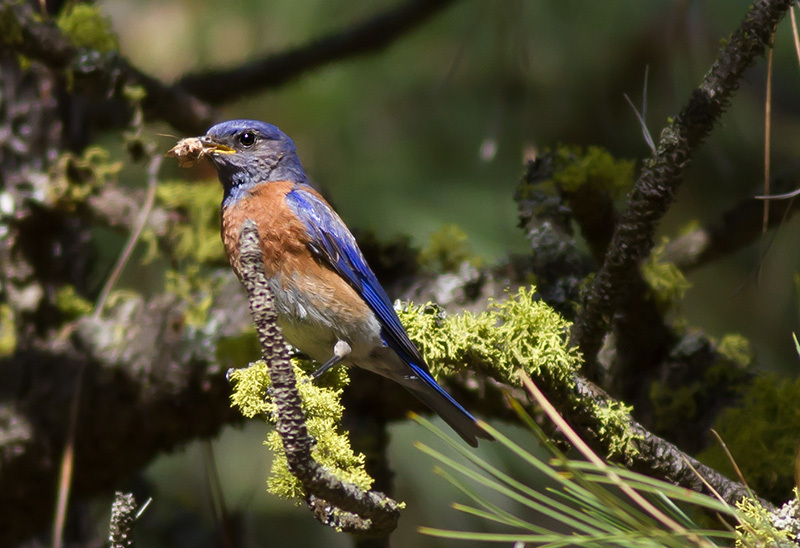 One of the advantages of living in the west is having Western Bluebirds to watch. They add color to the day and flashes of light. Once the eggs hatch, it is nothing but work. They grab bugs and grubs. They often pause on a limb above the birdhouse, which is a big plus for a photographer. Very considerate of them to offer a photo op!